Our investment in state-of-the-art equipment and facilities ensures the highest standards of product quality, safety and efficiency, as well as the health and safety of our employees. 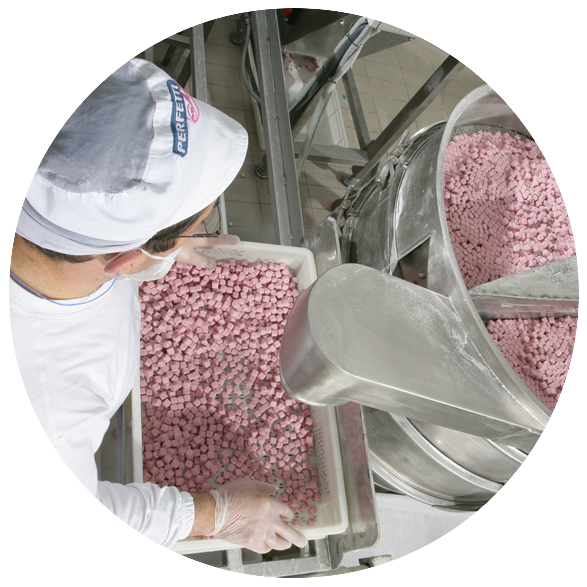 The chewing gum production process is fully automated, with sophisticated computerised equipment ensuring exact recipes and high standards every time. We add gum base – the chewy part of the gum – to a heated mixer, along with other ingredients including sweeteners and flavours. The mix thickens like a dough. The mix passes through extruders – machines that thin out, smooth and shape the gum – to make a series of regular sheets. The extruded gum is cut into long thin strips or pellets. It’s then cooled in a temperature-controlled room until it reaches a stable consistency where it won't stick. We coat and flavour the gum pellets, balls or dragées to form a coloured crunchy shell. Next, we spray the gum with syrup, sweeteners and colourings. Finally, we control the drying process by precisely regulating temperature and humidity levels. 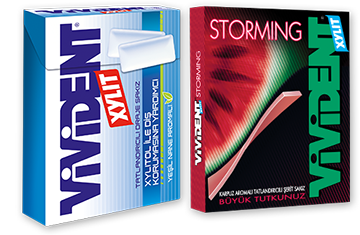 High-speed machines wrap and pack the gum, ensuring that the product is presented well and that it is fresh when consumers open the pack. The most widely used packs are flip-top boxes, sticks, wallet-shaped packs and bottles. 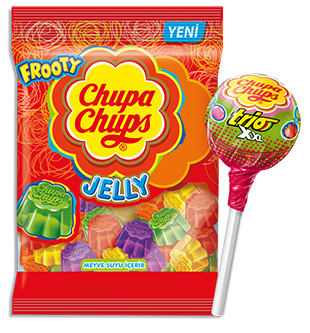 Our Chupa Chups lollipop remains essentially the same since it was created in 1958. Any changes focus on quality ingredients and the latest technological developments. The manufacturing process has evolved over the years to meet changing consumer tastes: pioneering the use of milk, soft chocolate filling and real fruit pulp as well as developing the placement of a candy on a stick. We mix carefully controlled quantities of sugar, glucose syrup and powdered milk (for creamy lollipops) in a tank with water. The mixture goes through a heating coil, where the sugar dissolves. The sweet syrup is then filtered to remove any tiny impurities. The filtered syrup is pumped into a heated coil cooker to evaporate most of the water – computers control the steam pressure and temperature. The remaining water is removed in a vacuum chamber, leaving a hot, sticky sugar mass. We then add colours, flavours, citric acid and cocoa paste (for chocolate-flavoured lollipops) to obtain a candy mass with the desired taste and colour. The hot sweet mass is placed on a refrigerated kneading table, where it is kneaded, levelled and given time to cool down. It then goes through a batch roller and into a rob-sizer that shapes it into strips. The strip passes into the die-forming or moulding machine, where the round mass is made under pressure and the stick inserted. The moulded lollipop then passes through a cooling tunnel until it reaches room temperature. We now have a hard, finished lollipop.